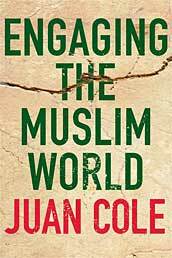 NYT Review of "Engaging the Muslim World"
David E. Sanger, writing in the New York Times Book Review, reviews my new book, Engaging the Muslim World. Sanger, chief Washington correspondent of the NYT, is himself a highly experienced and award-winning observer of American diplomacy. So the positive review from his pen is especially gratifying.